PhDr. Jana Horvathová is descended from the Holomek family – the original Romany who settled in Moravia at the end of the 17th century. She completed her doctoral studies in history at the Faculty of Philosophy, Masaryk University, where she went on to study museology. She was among the group of experts who found the Museum of Roma Culture in Brno, in 1991. She has been its Director since 2003. Chad Evans Wyatt is a portrait photographer, active in the Washington, DC area since 1976. He was born into a family of musicians, and grew up in New York and Paris, France. His professional career started, and continues substantially in the portrayal of people in the arts. His works are included in the music collections of the Smithsonian Institution, the Library of Congress, and the National Gallery of Art in Washington. He has photographed five US Presidents and countless other personalities, both for publication and privately. In 1993, he accompanied his wife to Praha, in her successful search for Czech relatives 40 years silent behind the Iron Curtain. 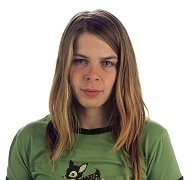 With the encouragement of Arnošt Lustig, Wyatt began work immediately on what would become 101 Artists in the Czech Republic, finished in 2000, and exhibited both in Praha and Washington. The project’s book was awarded Best Thematic Photography Book at the 2000 Praha Book Fair. 101 led directly to Roma rising / Romské obrození, portraits of mostly unknown Roma in the Czech Republic who have succeeded in work at the middleclass and professional level. This project has now visited 13 countries, and 30 exhibition sites. Anna Poláková was a men’s custom tailor. 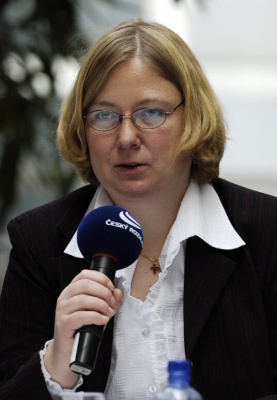 Since January of 1998, she has worked for Czech Radio 1 – Radiojournal – where she edits the O Roma vakeren program (“The Roma Speak”). While thus employed, she studied Social Activities in the Environment of Ethnic Minorities at the Evangelical Academy in Praha. She now studies at Masaryk University in Brno. At the same time, she assists people living in one of the socially sequestered localities in the Kladno region. Mgr. 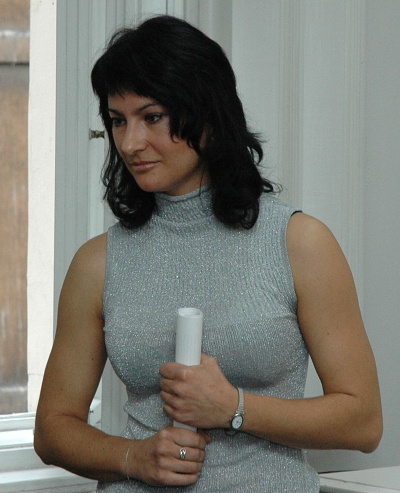 Jana Šustová completed her studies in Social Work at the Faculty of Philosophy at Masaryk University. Her first work was as Editor of Social Policy Magazine, a specialised monthly published by the Ministry of Labor and Social Affairs. She has been active at Czech Radio since 2000. She started there in the Internet Editorial Board, Czech Radio broadcasts directed abroad, where she was responsible for the websites of the Russian and German Editorial Board, in addition to her responsiblities for the Roma website. During 2005, she switched to Czech Online Radio, where she continues her work on the Roma websites and where she has founded the www.rozhlas.cz/nabozenstvi website, covering religion. 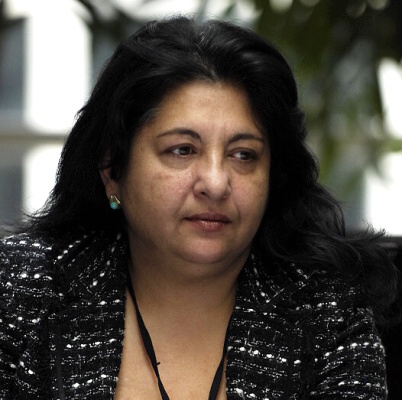 In 2006 she was named panel-member of the Governmental Campaign Against Racism. MgA. Anna Juránková studied animation and audio-visuals at the Faculty of Multimedia Communications at the Tomáš Bat‘a University, she specializes in scenography. She produced several films during and after her studies. Since 2006, she has worked at the Museum of Roma Culture as photographer, video archivist and curator of its video fund. Her work involves finding and arranging photographic and audiovisual materials that serve to document the Museum’s work and presentations. The Museum’s archive contains pictures and notes made during on the ground research, as well as conversations with Romany elders and other Romany personalities, as well as documents from the numerous events organized by the museum. These video materials are used to create films for exhibitions and to create further documents about the Museum’s work. The resulting photographs serve as resource for exhibitions, publications, articles in the media, etc. Mgr. 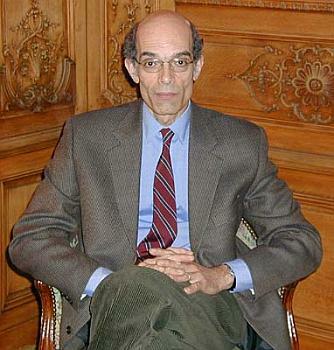 Khalil Baalbaki was born in Kuwait to Lebanese parents. 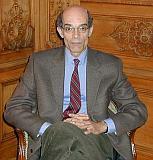 He has lived in Praha since 1983, where he studied documentary film at FAMU. In 1993, he started working professionally as a portrait, fashion, advertising and news photographer, He has filmed a number of reports on design, fashion and lifestyle for MBC TV. 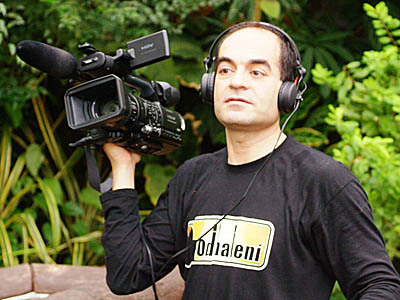 He has worked for Czech Online Radio as cameraman and photographer. For the Czech Radio African Odyssey project, begun in 1995, he monitored and filmed the migration of black storks from Europe to their winter refuge in Africa. Since the creation of the New Odyssey expedition in 2002, he has worked alongside researchers following the migration of black storks to Asia, specifically to Siberia, Pakistan, Afghanistan, India and Mongolia. His record of these journeys also documents the lives of inhabitants in the countries through which our tagged black storks travel.